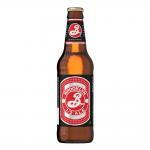 View All Photos – 10 Best Light Craft Beers | Cooking Light. While craft beers are mighty tasty, most pack a lot more alcohol and calories than their macro-brewed brethren. The good news is there are plenty of less boozy and (dare I say?) “light beer” versions out there to keep you both quenched and conscious during long, beerfueled summer barbecues.